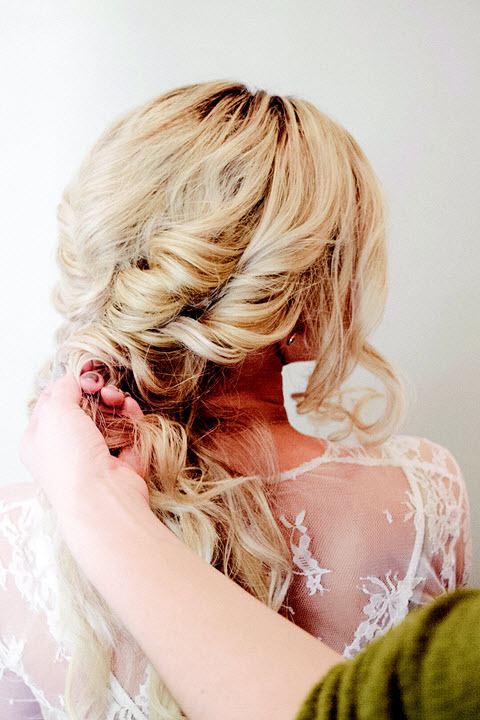 If desired, add extensions to add volume and fullness. Curl sections of the hair winding back on either side, using a 1” barrel. 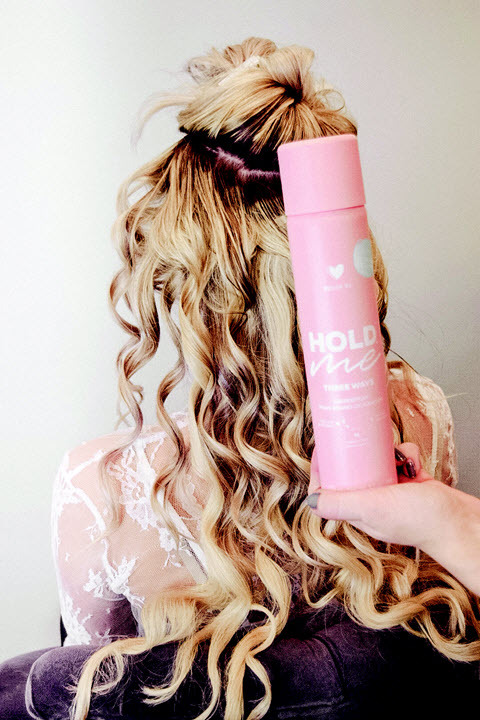 Mist the curls with Hold.ME on light setting to eliminate flyaways. 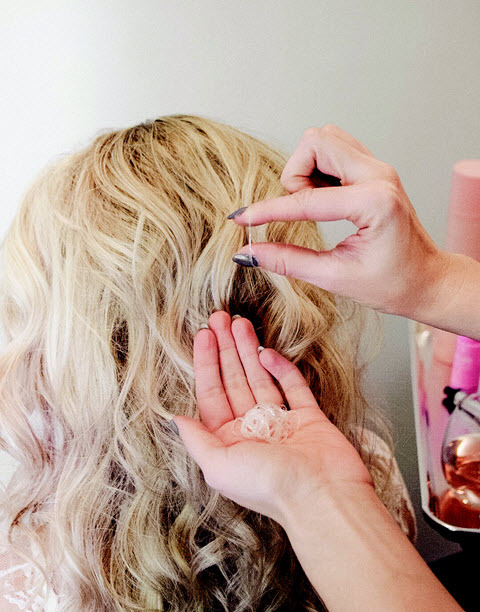 Create your desired volume at the root using Puff.ME. Use a teasing comb to tease the hair where you sprayed Puff.ME. Pro Tip: Comb out any flyaways on the top. Section the hair 1” away from the hairline to begin creating your pull-through braid. Whitney suggests taking 1” wide sections for the braid. Create two square sections vertically and secure each with elastics. Pro Tip: Clear elastics are best to get this look. Split the hair in the top elastic in half. 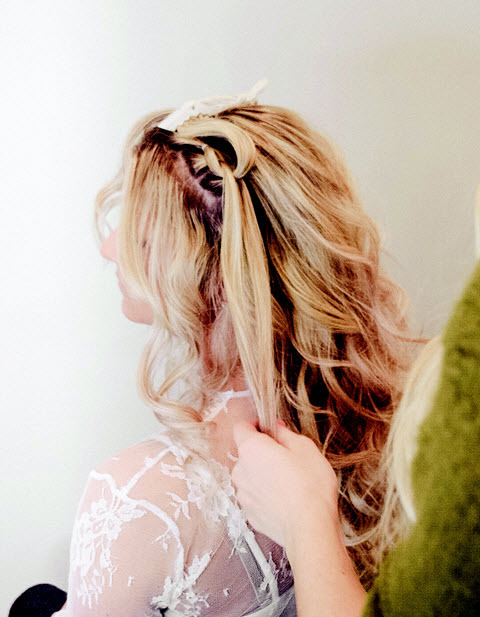 Use the hair from the top section that you split in two, to create another section underneath by bringing it down and securing it with an elastic. 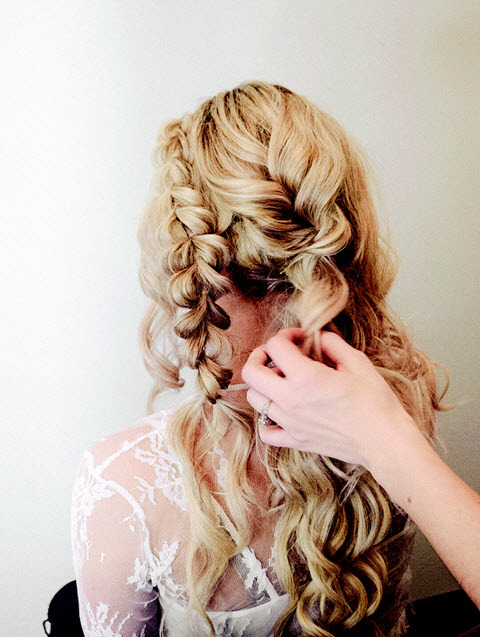 Finish your pull-through braid then pinch and pull apart as desired. Section the hair in the crown area upwards to work with the hair in the nape section. Secure hair in the nape area with an elastic. Spray Puff.ME at the bottom of this ponytail for extra grip, which you will needed later. 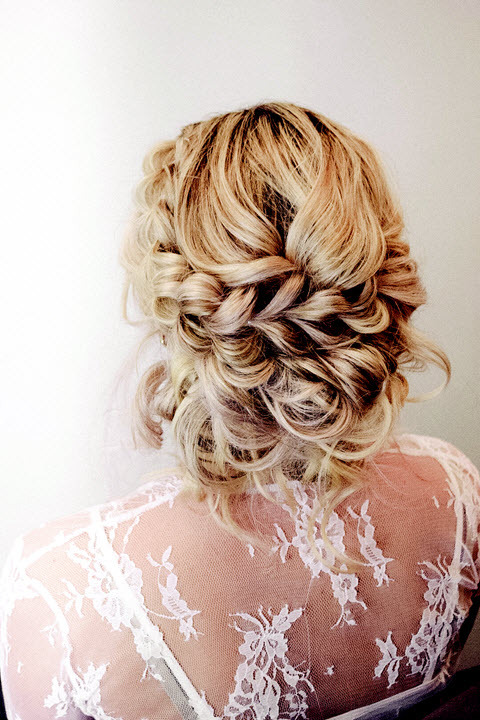 Bring the hair in your crown area back down and create a rope braid going downwards towards the ponytail in the nape. 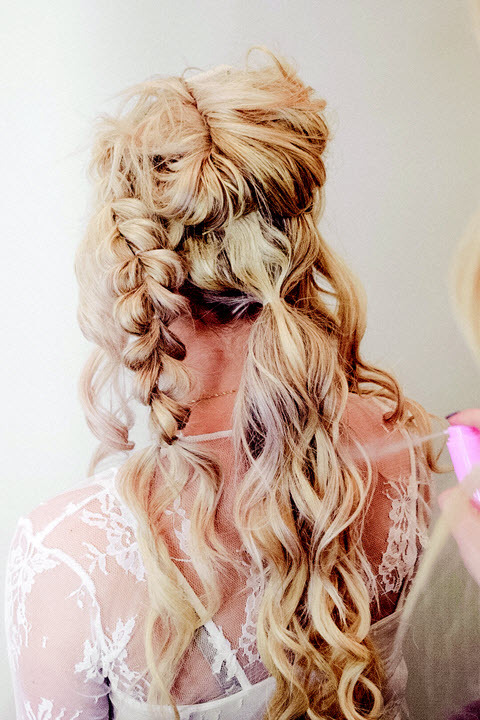 Secure the rope braid with an elastic next to the ponytail, then pinch and pull, as desired. Leave a few pieces out around the face and hairline to create a softer more tousled look. Secure the rope braid across the top of where the ponytail’s elastic is. Rope braid the rest of the ponytail up into a low bun. Leaving a few pieces out with create a softer style. Wind back the hair from the inch you had left out in the beginning. Leave out a few pieces of your choice. Then add your hair accessories!